Our mighty hero is back in RHINO RUSH STAMPEDE! 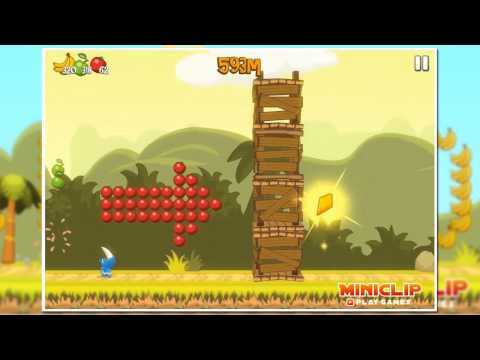 Run as far as you can using your JUMP and DASH skills. DASH to destroy obstacles and to collect power-ups! Earn new power-ups and collectables by collecting all the fruit you can and spend them at Shaman's Corner. Time to Rhino Rush!